December is National Impaired Driving Prevention Month, marked by nationwide efforts to educate people about the dangers of driving while under the influence of drugs and alcohol. December was selected as the time for this campaign because impaired driving accidents spike around the Christmas and New Year's season. According to Mothers Against Drunk Driving (MADD), 17 percent of fatally injured drivers had both drugs and alcohol in their system at the time of their accident, and 57 percent tested positive for either drugs or alcohol. It's been estimated that 30 million Americans per year drive while legally intoxicated, and 10 million Americans per year drive while impaired by illicit drugs. On a daily basis, 28 Americans die in motor vehicle crashes involving an alcohol-impaired driver. This is equivalent to one death every 53 minutes. In 2014, nearly one-third of all traffic-related deaths in the United States were caused by an alcohol impaired driver. Additionally, 9,967 people lost their lives in drunk driving crashes during this timeframe. Although it's true that impaired driving rates spike at night and on the weekends, over 10 percent of drivers are impaired by illicit drugs at any given time. Marijuana use accounts for nearly 25 percent of all impaired driving. Drugs other than alcohol, including both illicit drugs and prescription medications linked to impaired driving, are involved in about 16 percent of motor vehicle crashes. Be a defensive driver. Being aware of your surroundings, following all traffic rules, and cutting out distractions are the best ways to reduce the risk of any accident, but defensive driving is particularly helpful when you're traveling during the holiday season and face an increased risk of encountering impaired drivers. Call 911 if you see someone driving erratically. Signs of impaired driving include veering into oncoming traffic, tailgating, sudden braking, and erratic speed. When you call 911, provide a description of the driver and car, the license plate number, what road you are traveling on, and what behaviors you've observed. Do not attempt to stop the impaired driver yourself, as someone who is under the influence of drugs or alcohol could become violent when confronted. If you'll be celebrating, plan for a safe ride home before you leave the house. If you don't have a friend or family member who can act as a designated driver, use ride sharing services, taxis, or public transportation. When you're hosting a party, do not let guests get behind the wheel while under the influence of drugs or alcohol. If necessary, confiscate the person's keys, and have them sleep over at your home until morning. If you're the parent of a teen, stress the importance of celebrating responsibly. 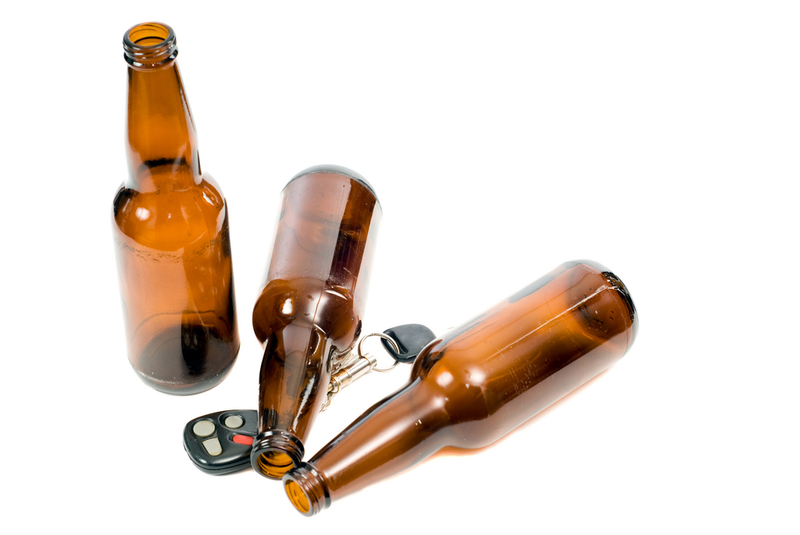 Studies have shown that both drunk driving and drugged driving are most common among young people ages 16 to 25. Help your teen understand that impaired driving risks his life as well as the lives of others. Accidents caused by impaired drivers can result in a wide range of injuries, including some which cause permanent disability. If you've been involved in an accident caused by a driver under the influence of drugs or alcohol, you're entitled to compensation for past and future medical expenses, lost wages, and pain and suffering. The laws surrounding personal injury settlements can be quite complex, which is why it's vital that you seek the services of a skilled attorney. Your attorney can handle all communication between insurance companies and negotiate for the maximum compensation you're legally entitled to receive.